Are you not satisfied with the default Mail app of your iPhone and iPad? Are you looking for a better email client application for your iOS devices and Apple Watch? If your answer is YES, here's something interesting for you. You can see here the list of 16 best third party email client apps for iPhone, iPad and Apple Watch. 1. Dispatch: Email meets GTD ( iPhone + iPad + Apple Watch ) :- Dispath is one of the best, wonderful and rich featured email client apps for your iPhone, iPad and Apple Watch. With the help of this email client app, you can exchange accounts easily, you can get rid of mails by swiping, respond faster with snippets, you can archive important mails to Evernote and save links to read later with pocket. It is of the best, powerful and user-interface third party email client apps available for iPhone, iPad and Apple Watch. 2. 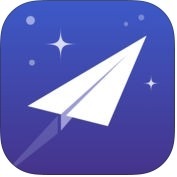 Airmail - Your Mail With You ( iPhone + iPad, iMessage + Apple Watch ) :- Airmail is one of the latest, powerful and fantastic mail client apps for Mac, iPhone, iPad, and Apple Watch. 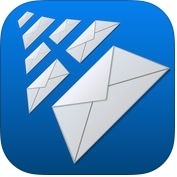 This email client app has lots of amazing and useful features such as fast document previewing, high quality PDF creation, support 3D Touch & Gmail, exchange EWS, IMAP, threads & single messages, multiple signature, customizable swipes, iCloud sync between Mac and iOS, access 3D Touch quickly, notification based on locations and many more. 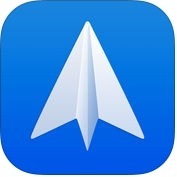 Airmail is an outstanding third-party email client for iOS, Apple Watch and iMessage. 3. 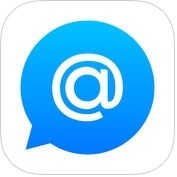 AltaMail ( iPhone + iPad ) :- If you want a simple, easy and rich featured email client app for your iPhone or iPad, you can use AlltaMail app. With the help of this email client app, you can swipe quickly to reply with a beautiful template & move emails into folders, set reminders, you can bulk select & delete email across multiple accounts, and show all emails thread with a single tap, you can send personal mail shots to contacts or custom groups, you can view the entire history of email with an individual in contract, you can save emails & attachments as files locally or in the cloud and, you can also sync securely your email accounts & settings between your iPhone and iPad. 4. MailShot Pro- Group Email Done Right! 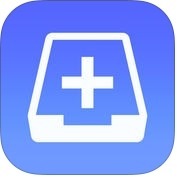 ( iPhone + iPad ) :- With the help of MailShot Pro app, you can organize and send email to group from the app easily, or share files to groups from other apps, you can create more than 100 groups, you can create in several ways such as add from contacts, import an address book group and enter addresses directly. You can also get a full guide, unique information and amazing tips. 5. Triage: Email First Aid ( iPhone + iPad ) :- With the help of this Triage email app, you can clean up the clutter stresslessly and reply quickly by messages. 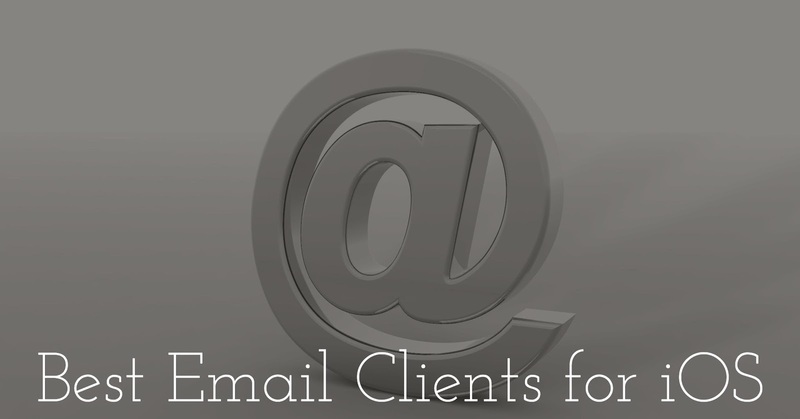 This email client app supports Gmail, iCloud mail, Yahoo and other email services. 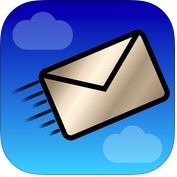 It is a simple, clean, fast and new fantastic third-party email client app for iPhone and iPad. It is for the person who like to visit on top of their inbox. 6. Spark - Love your email again ( iPhone + iPad + Apple Watch ) :- Spark is one of the most powerful, smart and fully customizable email client apps for iPhone, iPad and Apple Watch. If you want to see all your important email at a glance, with a unified inbox which knows the difference between a personal, a notification and a newsletter, you can use Spark email client apps. With the help of this third-party app, you can integrate with these tools such as Google Drive, OneDrive, Readability, Evernote, Dropbox, Pocket and OneNote easily and quickly attach documents from these services to your emails, you can use natural language to search via your emails and you can also save attachments to Google Drive, Dropbox, iCloud, Evernote or any application on your iPhone and iPad. 7. 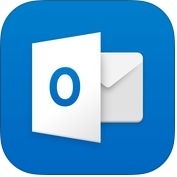 Microsoft Outlook - email and calendar ( iPhone + iPad + Apple Watch ) :- It is one of the most powerful and advanced full-featured email client apps of iPhone, iPad and Apple Watch. Microsoft Outlook email client app has several amazing and attractive features such as seamless inbox management, managed & organized, access easily to calendar and files, work on the go, smart filters to help you sort through your inbox and many more. You can also view and attach any file from your email, Dropbox, Evernote, OneDrive and other, without having to download them to your iPhone, iPad and Apple Watch. 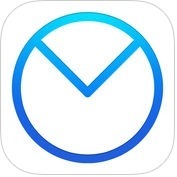 8. myMail – Email for Hotmail, Gmail and Yahoo Mail ( iPhone + iPad ) :- If you want to customize your schedule and manage messages in your hotmail, outlook, Gmail, iCloud and Yahoo email accounts at once, you should use myMail app on your iPhone and iPad. 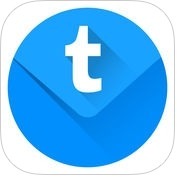 This email client app has lots of fantastic and unique features such as you can receive instant notifications of new messages, turn notifications or/off for an account or filter notifications based on folders, search quickly through all messages, touch ID support, and many more. With the help of myMail app, you can keep your mail securely in one place, you can view your all email conversation on one screen and, you can also set a PIN lock on your iPhone and iPad. 9. Email - Fast & Secure mail for Gmail iCloud Yahoo ( iPhone + iPad + iMessage ) :- If you want to use one of the best, fast and secure email client app, you can use Email app on your iPhone and iPad. With the help of this third- party client app, you can unsubscribe from junk mail with one finger tap, you can customize your view of multiple accounts in unified lists like all inboxes, unread, attachments, you can add or remove accounts of your choice to keep focus where it is required, you can keep your mail accounts private and secure, you can edit HTML signature, you can view toggle thread on/off to make email fit smoothly into your workflow, you can also access information from your inbox and insert it into iMessages. 10. 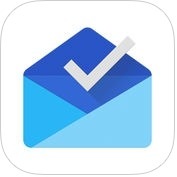 Inbox by Gmail ( iPhone + iPad ) :- With Inbox by Gmail app, you can keep your things organized stresslessly and seamlessly. This app helps you get back to what matters, you can get important informations without even opening the message, you can add reminders so your inbox contains all the things you need to get back to, you also can find exactly what you're looking for-from upcoming flight to a friend's address without having to dig through messages. 11. 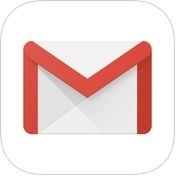 Gmail - email by Google: secure, fast & organized ( iPhone + iPad ) :- It is a real-time notifications and multiple account supported official Gmail client apps for iPhone, iPad and Apple Watch. With Gmail app, you can switch between multiple accounts, you can undo send, to prevent embarrassing mistakes, you can get notified of new mail quick, with notification center badge and lock screen options, you can swipe to archive or delete and clear out your inbox quickly, you can manage your mail by labeling, starring, archiving, deleting and reporting spam and, you can also read your mail with threaded conversations. 12. Yahoo Mail - Keeps You Organized! 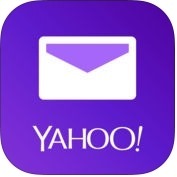 ( iPhone + iPad ) :- Yahoo Mail is one of the most beautiful, effective and user-friendly email client app for iPhone and iPad. With the help of this third-party email client app, you can organize your Gmail easily and quickly, you can customize your swipes, you can send and add your photos, videos and files to an email, you can select different background and text colors for your yahoo inbox and, you can also ditch passwords on your iPhone and iPad. 13. 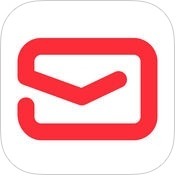 Newton Mail - Email for Gmail, Outlook & Exchange ( iPhone + iPad + Apple Watch ) :- Newton is a amazing, user-interface and subscription based service mail app. 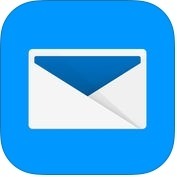 With the help of this email client app, you can work with Gmail, Exchange, Yahoo Mail, Outlook, iCloud and more, you can access your email anytime, across ALL your devices such as iPhone, iPad, Apple Watch or Mac, you can send your schedule emails or delivered to the recipient's inbox at just the right moment, you can read-status for every email you send and you can also know who read your email with individual mail tracking, you can set your emails to come back to inbox at a more convenient time and, you can also save attachments to your favorite cloud storage service like Google Drive, OneDrive, Dropbox and more. 14. 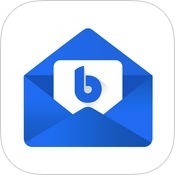 Blue Mail - Email Mailbox ( iPhone + iPad + Apple Watch ) :- Blue Mail is a fantastic, powerful and unique featured email app for iPhone, iPad and Apple Watch. With the help of this email client app, you can push notification service for all email providers such as Gmail, iCloud, Office365, Yahoo, GoDaddy, Outlook and more, you can add any number of accounts and sync multiple mailboxes from all your providers in one unified interface, you can protect your email with Touch ID & Passcode and, you can also configure your own for a fast response to a message. 15. TypeApp - Email, Mail - IMAP & Exchange Mailbox ( iPhone + iPad + Apple Watch ) :- TypeApp is smart and amazing designed and universal email client apps for iPhone, iPad and Apple Watch. 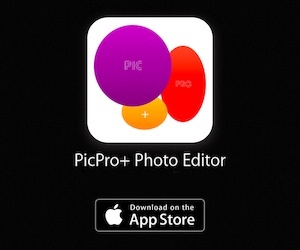 It is the best replacement for your default email app. With the help of TypeApp, you can push notification service for all email providers like Gmail, iCloud, Yahoo, Outlook, Exchange and more. You can set do not disturb mode and take action directly from the notifications and customize it, you can protect your email with Touch ID & Passcode, you can set custom signature per account, you can mark quickly for handled later and set reminders so you do not miss them and, you can also filter quickly and easily emails by unread or starred. 16. 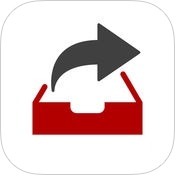 Hop Email - Super Fast, Encrypted & Powerful mail (iPhone + iPad ) :- If you are looking for a powerful, excellent designed and user-friendly email client app for your iPhone and iPad, you can use Hop Email app. It rescues you from inbox overload by vanquishing clutter and distractions. With the help of this third-party email client app, you can push notification service for all email providers like Hotmail, Gmail, iCloud, Yahoo, Outlook, Exchange and more, you can customize and work fast and you can also unsubscribe from newsletters, snooze a message, block a sender, and auto-archive entire message threads.